There are many things to think about as a homeschooler, one of which happens to be just how and when you’re going to get the actual homeschooling done. 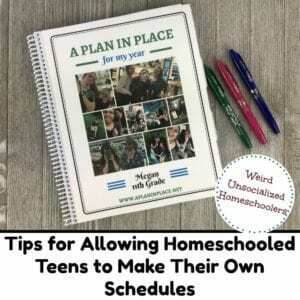 There are lots of options when it comes to homeschool schedules, and many things to consider when figuring out how to set up your homeschool day, week, and year. But how do you figure out your best homeschool schedule? It is very common for homeschooling families to do their lessons Monday through Friday, morning(ish) until lunch(ish). And that works really well for a lot of families. But you don’t have to homeschool in the morning. I mean, this isn’t public school—and it sure doesn’t take as long to get done. You can start homeschooling after lunch. Or you can wait until after supper. I mean, really, you can do whatever you want. Our school set up for many years was called Float School. We did lessons M-F, starting at 9 am, but there was never a scheduled “end time.” We worked on whatever until the boys needed a break, and then they’d go do something else. I’d call them back at some random point—which they never figured out was the exact time I could tell they needed some, ahem, redirection—and we’d do the next thing. Sometimes lessons took a couple of hours. Sometimes they took all day. And it was fine. Some folks do school five days a week, but some days are parent-taught while others are independent. This schedule can be an excellent transition period if your kids want independence but aren’t quite there yet. It also works nicely if your kids have reached a point where a lot of their work is independent but they’re still involved in projects that work nicely as a group or need more supervision. You can have no schedule. If you consider yourself an unschooler, this may be your mode of operation. Or you might not have a schedule because you have older kids who are very independent and in charge of their own work. Pro tip: Even if you have no schedule, feel free to continue to touch base daily or once a week. I find that setting up a coffee bar or anything with food makes my sons show up and then we can talk about stuff. For instance, we can set goals or talk about struggles. When considering schedules, you can also think about what subjects you will learn when. You don’t need to teach every subject every day, or all the time. Maybe you do math and writing every day, but you rotate science and history every other day. Perhaps Monday is music, Tuesday is painting, etc. Maybe you do world history the first and third weeks of the month and nature study the second and fourth weeks. You’ll have to decide if you’re going to do school year-round or if you will take summers off (or some other extended time that works for your family). And when I refer to year-round homeschooling, understand I’m talking about lessons year-round. I believe all kids (and adults) are always learning all the time, whether they’re staring at a curriculum or staring at the clouds. Some families do school for six weeks and take two weeks off. Or do school for three weeks and take a week off. Some families school through the summer but take September-November off. All of our homes and situations are different, and with homeschooling, you can make your schedule work for your particular needs. I could write a novel just by listing all the different ways I’ve seen families set up their homeschool schedules and how they’ve changed those schedules as time went by. The point? You can set up homeschooling in your family in whatever way works for you—whether that’s homeschooling 8 to noon, Monday through Friday, or homeschooling every other day for three hours after supper. It really doesn’t matter what your grandma or your neighbor thinks about it. 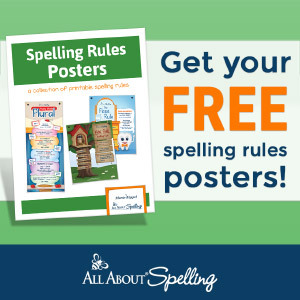 If it works in your home and your kids are learning, it’s the perfect schedule for you. Think about what your family actually needs for a set up for homeschooling to work in your home. What do your kids need? What do you need? Do either you or your significant other work outside the home? In the home? Do either of you work rotating shifts? What else do you have to fit into your day or week? Co-op? Music lessons? Does Dad work nights and needs to be able to sleep until afternoon? Does Mom volunteer for a local organization and needs every Friday off to do that? Be okay with tossing things up. The way we are doing things now would not have worked for us five years ago for a variety of reasons. Understand that when you set a schedule, you aren’t etching it in stone. Understand that your perfect schedule might not be your kids’ perfect schedule. Homeschooling after lunch might work great in your personal schedule, but maybe your kids just can’t jive with that. They may consider asking them to come back and work on math when they’ve already been out climbing trees and building forts a lousy joke. And no one is laughing. Remember that some kids actually like schedules. It’s common to hear in the homeschooling community that free and easy and unscheduled is the way to rock everything. But that isn’t true of every kid. Some kids like schedules. And some kids want to be able to choose what they learn, but also want school to start at a specific time and know what’s coming up next. Be aware if you have a kid like this and understand there is absolutely nothing wrong with it. Ask for your kids’ opinions on the best way to set up school. Sometimes the best advice comes right from the people living with you, so don’t forget to ask for their suggestions. Perhaps you’ve been struggling with something that you assume is an issue, and your kids don’t have a problem with it. Or conversely, maybe you think your set up is working great, but your kids have an idea that might work better. Don’t let the idea of a schedule be so stressful that the how and when of getting homeschool done gets in the way of actual homeschooling. Is your schedule important? Sure. But it’s also completely modifiable. Jump in and start doing something and go from there. Pay attention and be willing to take suggestions, and, as a family, you will figure out the best way to do things in your home. The long and short of it? Do what works. And when (not if) that set up doesn’t work anymore, do things differently. You’re a homeschooling parent, and you totally have that freedom. What homeschooling schedule is currently working well for your family? 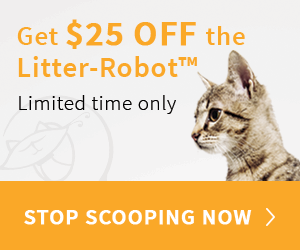 Your newsletters are always right on time! Its as if you read my mind. This is my first year and I tweeking things as we go along. I love the flexible, comfortable pace as a pose to the mayhem we had when they went to school. My problem is that Im always second guessing myself. I am enjoying having more input in what my kids are learning. Its almost like I have to inunschool my brain! If that makes sense. Your thoughts and ideas are so practical. Thank you for sharing your experience and ideas. I look forward to reading them and seeing what I can implement.